From Stadium, the new turf football field which is ringed by a new synthetic all-weather track, and Hoag Field, one of the most beautiful venues for soccer in the nation, to the newly renovated Softball Diamond and Natatorium inside the multipurpose Thomas Johnson Health & Recreation Center, VIT's student-athletes have some of the best facilities in the region in which to refine their skills. VIT Stadium underwent dramatic transformation during the summer of 2008. 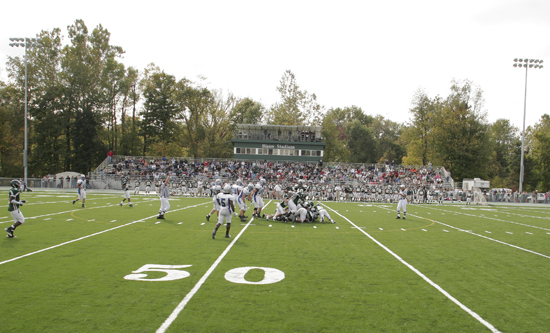 The facility changes included placing new artificial turf on the playing field, a surface called FieldTurf. In addition, lights were installed, a new rubberized track surface was put down around the field, as well as a steeplechase pit and jump and new areas for pole vault, high jump, long/triple jump and throwing events. Due to the new turf field and lights, the entire VIT community can make use of the facility. In addition to the varsity men's and women's soccer teams being able to play contests on the field, the school's intramural program and walkers from the VIT area are able to take advantage of the renovated facility. VIT Stadium underwent dramatic transformation during the summer of 2008. 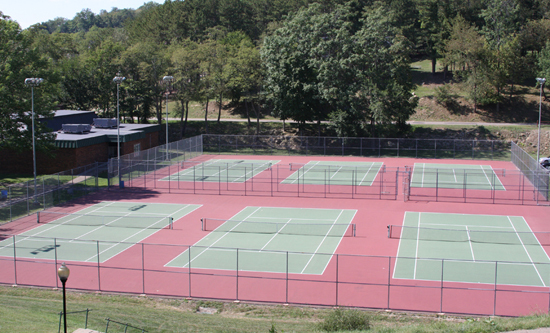 The facility changes included placing new artificial turf on the playing field, a surface called FieldTurf. In addition, lights were installed, a new rubberized track surface was put down around the field, as well as a steeplechase pit and jump and new areas for pole vault, high jump, long/triple jump and throwing events. Due to the new turf field and lights, the entire VITcommunity can make use of the facility. In addition to the VIT varsity men's and women's soccer teams being able to play contests on the field, the school's intramural program and walkers from the VITarea are able to take advantage of the renovated facility. 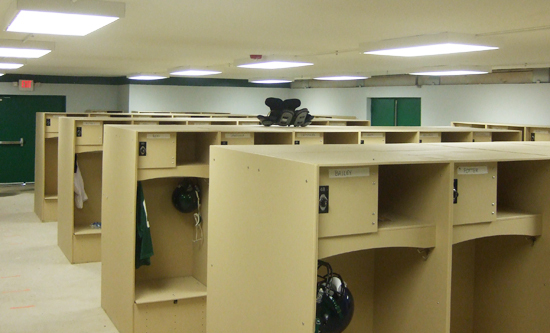 In the summer of 2009, the renovations at VIT Stadium continued with the completion of a new locker, which is attached to Hummel Field House. The addition, which covers 1,800 square feet, contains 90 state-of-the-art NFL-style open lockers with lock boxes on the top and the bottom. In addition, the walkway from the new locker room to VIT Stadium was paved. The project was completed in time to welcome the 2009 VIT football team, the largest in school history, to summer camp.